At Restoration Landscape company we have a vision to see people doing more of what they love by maintaining and improving their outdoor living spaces, thus providing them the time to invest in their community, family, and friends. We have developed systems and procedures to ensure you receive both prompt and quality service every time you interact with us. At Heritage Corridor Landscaping we offer lawn maintenance services to the upstate including, Clemson, Seneca, Anderson, and others! Welcome to GreenScapes Shrub & Turf! 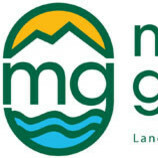 Providing Professional Horticultural Services for the Greater Athens, GA Areas from Lake Oconee to Lake Hartwell. We are a locally owned and operated company since 2000. Our services include Weed Control in Lawns & Natural Areas/Flower Beds. Fertilization of Lawns & Ornamental Shrubs & Trees. Insect & Disease Control for Turf and Landscape Plantings. Specialized services include Mosquito Management, Fire Ant Management, Core Aeration, Soil Fracturing, Topdressing, Overseeding, Athletic Fields, and Verticutting. Call us today for an assessment of your horticultural needs and a Free Estimate! Triple L Landscaping provides Lawn Maintenance, Mulch, Redesign & Start Up Landscape, Tree Service, Hardscape, Bush hogging, and more. Contact us today to learn more about what we can do for you! 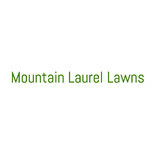 Our staff has over 15 years of experience in lawn care and general landscaping. Our lawn care business provides services for commercial and residential properties. We are licensed and insured, and our #1 priority is to provide the best product for you and your establishment. 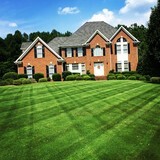 We intend on continuing to uphold that responsibility when you chose Precision Lawn Maintenance. To perform all of our services with the best possible execution. We will continue to provide the best service possible and go above and beyond to ensure that your establishment is in the best possible state. We would like to have a long term business relationship with our customers. We are committed to quality, reliable, and dependable work. For all your Landscape Maintenance & Irrigation needs, call Eberhardts! From day one, our goal has been to set the standard in customer service among lawn care companies. Garden Vistas partners with our customers to maintain their lawns, trees, shrubs and irrigation systems with high quality service at an affordable price. At Garden Vistas, quality has created opportunity, and our company has experienced wonderful growth. Most of this growth has come from satisfied customers who have referred their friends and neighbors to us for lawn service. We truly value these referrals, and our trucks travel to more homes and businesses every year. Hire us for your lawn care needs! CUT-Rite Lawn Maintenance offers a full range of maintenance and landscaping services for residential and commercial customers. 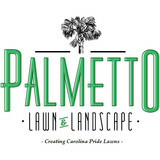 In addition to the maintenance side of gardening, Pendleton, SC gardeners can help you with garden design and choosing specific plants and grass types for your climate and area. Find a Pendleton, SC gardener on Houzz. 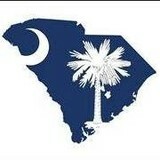 Narrow your search in the Professionals section of the website to Pendleton, SC gardeners. You can also look through Pendleton, SC photos to find examples of yards that you like, then contact the South Carolina contractor who worked on them.